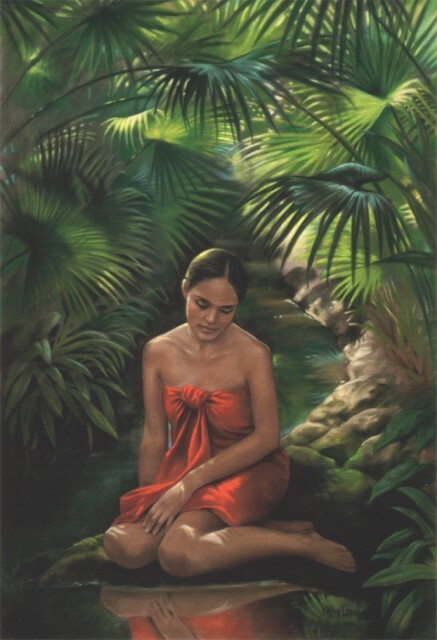 The first in a series of images known as “Contemporary Hawaiian,” depicting beautiful local women in exotic tropical settings, “Tropical Reflections” captures the grace and peace of Hilo, an area known for it’s rare and abundant palms and many streams and waterfalls. 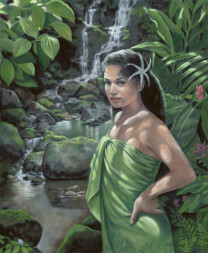 Look for me at the Merrie Monarch Festival this year from April 23 - 26! 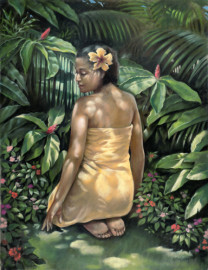 Sign up for my e-news!